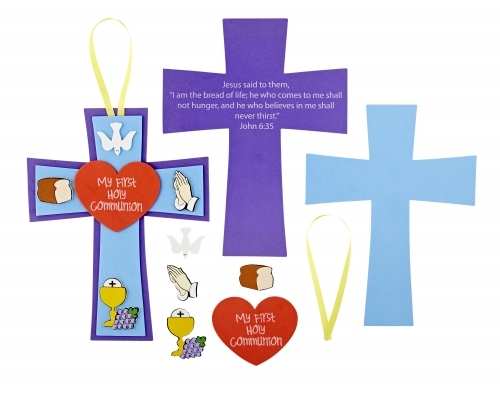 This cross craft is a wonderful activity for First Communion participants to make in celebration of the Sacrament. Each craft comes individually packed with all pieces and an instruction sheet. Allows for ease in handing out to students. Pieces are also fully adhesive so no extra glue is needed.